I’ve received dozens of performance reviews over the years and yet only really one stands out. What made it different? 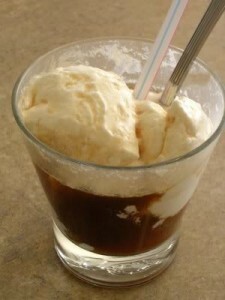 It took place over a pair of ice cream floats at a quiet, private table in a restaurant near our offices one afternoon. That was it. That’s all it took to have that one event stick in my mind all these years. Keep it simple, make it fun. Rather than scheduling the (seemingly) obligatory nondescript conference room and meeting in a hurried, rushed fashion, this one was different. Seriously—of the dozens of performance reviews I’ve received over the years, this one stands out the most. And it was over a decade ago. So keep an eye out for ways to keep these events simple but still fun. What about those hard conversations when the review isn’t a rosy or glowing one? If you’re being a leader as well as this employee’s manager, then you’ve been having those hard conversations throughout the quarter already. Your employee should be expecting what’s in the review and having the review in an upbeat situation isn’t going to change things too much. Maybe you give that employee a choice on where to go. Does it cost a few extra bucks? Probably, but if you want to set expectations upfront on sharing the tab, it doesn’t have to. Could this escalate out of control? Probably not, particularly if you insist on keeping it simple. But my HR department says . . . ! If you’re concerned about this, let your HR department know what you’re doing. Listen to what they say and make an educated decision. There are probably other downsides to making it fun (but keeping it simple). And plenty more things on the upside. Let me know about them in the comments or send me an email at JeffreyGifford at gmail dot com. This entry was posted in Management and tagged trust, workplace environment. Bookmark the permalink. This makes me wonder what my direct reports thought of my conducting their reviews in the local Einstein Bagel Shop. I wonder if they remember them? I do!